Enabling persistent location in a third-party mobile app isn’t always easy — it usually requires either cautious uses of updates, like iOS 5’s geofencing, or an acceptance that there will inevitably be a knock to the battery life while it’s running. Skyhook doesn’t want there to be any compromise, at least on Android: an update to its developer kit has rolled in an Always-On location option that theoretically represents the best of both worlds. Third-party app writers can opt for position refreshes as quick as 30 seconds apart, if that birthday gift reminder needs just that many updates, but will supposedly face “little to no noticeable impact” on how quickly users’ smartphones sip energy. 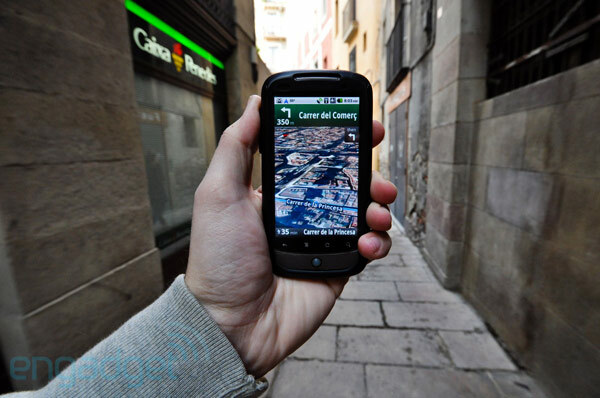 We like the idea of guilt-free GPS, and there’s even an airplane tracking mode for when you just have to check into Foursquare from 30,000 feet in the air. Developers can start working on the option today; until implementations reach the wild, everyone else will have to make do with a clip of the airplane tracking feature after the break. Skyhook SDK for Android touts always-on location finding without the battery hit (video) originally appeared on Engadget on Wed, 18 Jul 2012 17:41:00 EDT. Please see our terms for use of feeds. Microsoft did quite a decent job of keeping us entertained with yesterday’s unveiling of its most recent Office package and all of its promising integration with SkyDrive. Still, Redmond left out any mention of how the cloud service would play out for OS X users working on Office 2011 for Mac. Well, according to The Verge, Microsoft’s informed the site an update that’d bring some of the features introduced in Office 2013 to the Mac crowd is indeed in the works. The SkyDrive refresh is said to be coming at the same time as the official launch of the 2013 Office bundle, which means you’ll have to stick with your current workflow at least for a few more months. 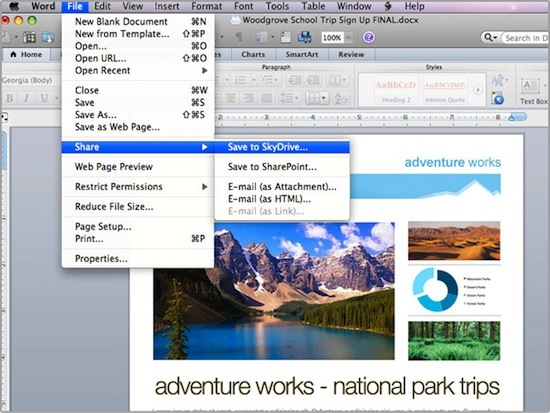 Microsoft’s reportedly working on Office 2011 for Mac SkyDrive update originally appeared on Engadget on Wed, 18 Jul 2012 17:25:00 EDT. Please see our terms for use of feeds. When we looked at the 13-inch Samsung Series 9, we lamented that there was only one version on offer: if anyone wanted more than a Core i5 and a 128GB drive, their dreams were crushed. Samsung must feel that there’s hope for us yet, as there’s now a higher-end spec that slots in a 1.9GHz Core i7 and doubles the storage to 256GB. That’s good news to us, even if the 4GB RAM ceiling will still have some avid Ultrabook fans turning elsewhere. Springing for the new flagship will set shoppers back by about $300 more than the previous top of the line, or $1,700 — still pricey relative to the competition, but much more palatable you’re searching for a premium Windows 7 ultraportable and aren’t willing to budge on screen size. 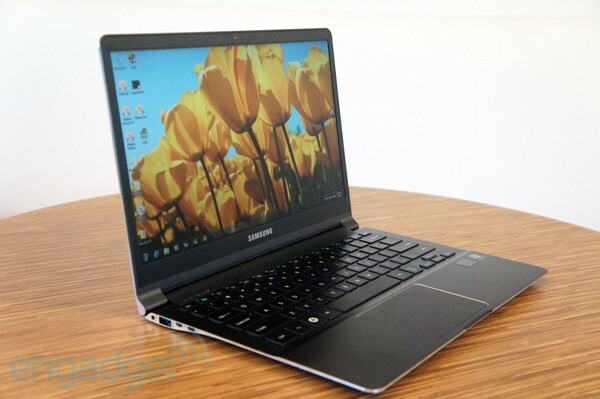 Samsung Series 9 13-inch lands 1.9GHz Core i7, 256GB SSD edition for the power user set originally appeared on Engadget on Wed, 18 Jul 2012 17:09:00 EDT. Please see our terms for use of feeds. This entry was posted on July 18, 2012, 5:47 pm and is filed under Mobility. You can follow any responses to this entry through RSS 2.0. Both comments and pings are currently closed.